Starbucks Corporation (NASDAQ:SBUX) is a one-of-a-kind company in so many ways. People love their Starbucks to the point of addiction. If left unchecked, the brand name will eventually replace the term “coffee.” But when it comes to the investor community, SBUX stock has fallen to the ranks of the pedestrian. Starbucks reports its fiscal third-quarter earnings after Thursday’s bell, and there’s not the same buzz of excitement we’ve seen in years past. I’m not here to say that Starbucks is a poor investment, but there’s no hiding the fact that it has been a disappointing holding for a while. SBUX shares are up 5% this year, but the S&P 500 has more than doubled that. In fact, shares have essentially been rangebound since 2015, and are off more than 6% from the stock’s peak that year. The only sign of life this year was a spike in May that had shares up more than 16% year-to-date through early June, but that spring move has evaporated and then some. The top line itself is worrisome, too. After years of double-digit revenue growth, the company in January lowered its guidance to an 8%-10% sales improvement this year. Analysts firmly believe it’ll be worse, at 6.5% growth this year and just under double digits at 9.8% next. Eyebrows also are raised when comparing Starbucks against its competitors — or at least what serves as competitors, considering Starbucks’ unusual niche. McDonald’s Corporation (NYSE:MCD) runs a substantial coffee-and-breakfast business, and MCD is up 25% YTD. Even the niche Baristas Coffee Co (OTCMKTS:BCCI) is up a whopping 131% YTD. Dunkin Brands Group Inc (NASDAQ:DNKN) hasn’t been as impressive, but still is up 15% over the past 52 weeks compared to a flat performance from SBUX stock. Of course, it’s not entirely fair to compare Starbucks to any of these establishments. They’re just the best possible proxies. It is fair, however, to say that Starbucks isn’t rewarding investors. Will Q3 Earnings Change Anything? If you had to gamble on whether Starbucks will hit its earnings target for its fiscal third-quarter earnings report, you should probably take the bet. SBUX is reliable when it comes to meeting and beating expectations. But that reliability is also a liability. The last time Starbucks earnings fell short of Wall Street’s projections was Q1 2014. Since then, it’s been mostly small beats, and sometimes even mere meets. That’s usually only enough to keep investors from slaying your stock, but it’s not enough to generate the idea that there’s untapped upside potential. For Q3, analysts are looking for 55 cents in earnings per share, about 12% growth year-over-year. That alone doesn’t tell you much. What should tell you a lot is that the high analyst estimate is just a penny higher, and the low is just a penny below. In other words, no one on Wall Street has a wildly bullish thought based on this catalyst or that catalyst. Everyone more or less expects the same ol’ same ol’ out of Starbucks. Not surprisingly, the revenue picture is more of the same. Wall Street expects Starbucks to haul in $5.8 billion, against a range between $5.6 billion to $5.9 billion. Over the past four quarters, SBUX has met the consensus. That estimate requires a 10.7% year-over-year growth rates. SBUX has averaged 9.6% growth over the past six quarters, though that declined to 6.3% over the last two. Investors will be keying in on forward guidance. Pertinent issues are comp-store sales and its expansion into China and other Asian markets. With the cautionary notes out of the way, I still think Starbucks is worth a look from the long side. First, as I alluded to earlier, Starbucks is an American and international phenomenon. Similar to McDonald’s role in opening up the former Soviet Union, Starbucks is doing the same in the current era, in China and elsewhere. Irrespective of quarterly results, the coffee titan has an intangible quality that is extremely difficult to duplicate. Second, SBUX is a safe bet. Because coffee is an everyday necessity, there will likely be no shortage of demand. And while it hasn’t produced much in the way of growth for a couple of years, analysts are at least projecting an improvement on that front next year. Finally, Starbucks is enjoying a few tailwinds. For one, the arabica coffee bean price is down 13% year-over-year, which is good for Starbucks’ profits. Since the summer of 2013, the producer price index for coffee processing is flat. The same can be said about the consumer price index for coffee. The American consumer is certainly getting beat up across the board, but the barista industry has been notably gentle. I don’t expect much in the way of fireworks from Starbucks’ Thursday night report. Investors should anticipate a slight beat as usual. But I do believe SBUX stock has enough going for it that it can start building up a small head of steam once more. That should especially be the case as we get into the latter part of this year, and expectations for 2018 become clearer. 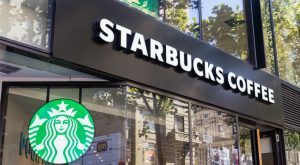 Article printed from InvestorPlace Media, https://investorplace.com/2017/07/sideways-starbucks-corporation-sbux-stock-needs-a-q3-double-shot/.